The Pacific Dawn called in with 8 Bluefin Tuna (1 at 260#, 1 at 130#, and 6 at 50#) on the first day of their 2 day trip. The Condor returned this morning with 30 Bluefin Tuna (50-80 lbs.) for their 1.5 day trip and reported beautiful weather as well. The Pacific Queen returned this AM with 47 Bluefin Tuna for 34 anglers from their 1.5 day trip. Most of the Bluefin are 40-70 lbs. with one over 100 lbs. and 5 at 20 lbs. 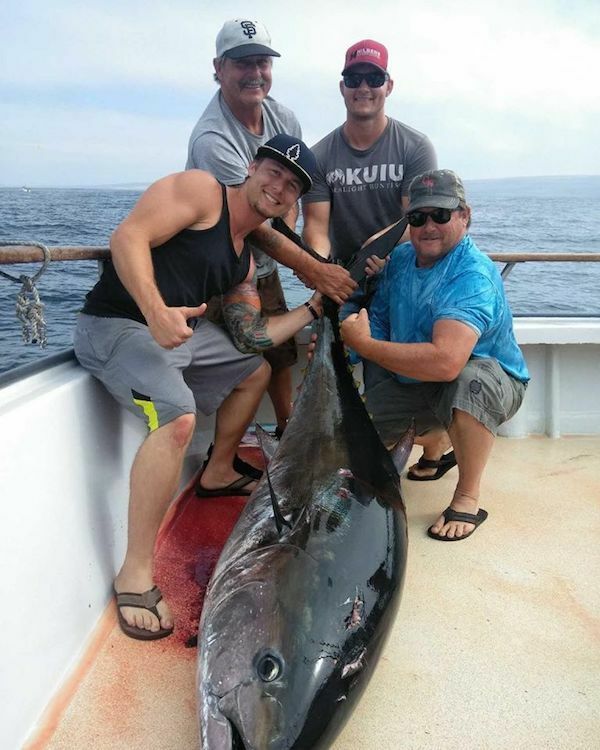 The Pacific Dawn returned this AM with LIMITS of Bluefin Tuna for 18 anglers on their 1.5 day trip. Most of the Bluefin are 30-70 lbs. with one over 100 lbs.